Lakeside Plastics is excited to announce our newest traffic safety product. 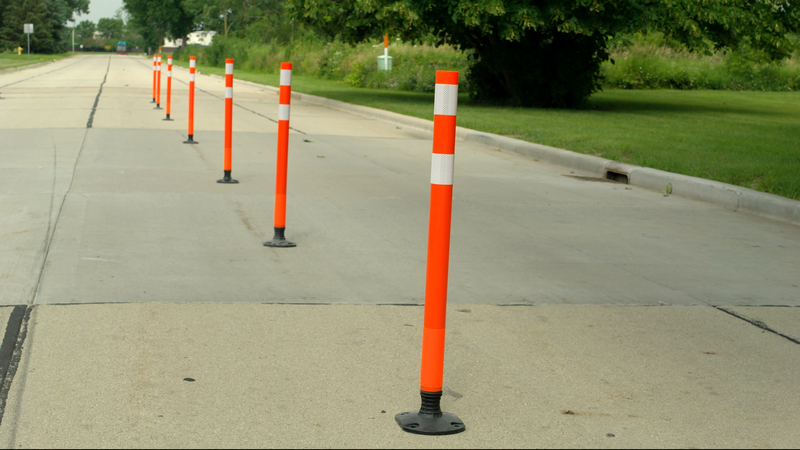 The Divider is a MUTCD and NCHRP 350 compliant surface mount delineator post for use in work zones, parking lots, merge lanes, bike lanes and more! The high quality flexible base design maximizes safety conditions for pedestrians and vehicle traffic alike. The Divider features high visibility, 3M reflective sheeting and is available in multiple colors and heights. In addition, our quick connect tab system makes setup easy for temporary or permanent surface mounting.